UPDATED: Thu., July 20, 2017, 5:24 p.m.
Mississippi football coach Hugh Freeze was at Jackson Country Club on Wednesday night, giving his yearly rah-rah speech about the Rebels’ overcoming adversity and getting ready for the season. 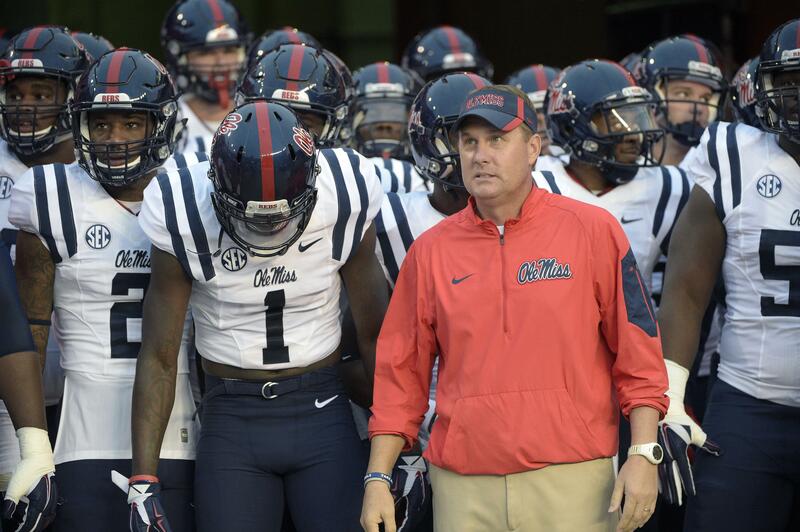 Ole Miss announced Freeze’s resignation Thursday night, bringing a stunning end to a five-year tenure that saw a Sugar Bowl victory, but also a wide-ranging NCAA investigation into rules violations. But an NCAA investigation – alleging 21 charges of academic, booster, and recruiting misconduct – has overshadowed much of that success, especially over the past year. The school has already self-imposed several penalties, including a one-year postseason ban for the upcoming season. Freeze – who was making more than $5 million per year – had a 39-25 record over five seasons, including a 19-21 mark in the Southeastern Conference. The 47-year-old Freeze’s shocking exit – just a few weeks before preseason camp begins – completes a stunning fall for a coach considered one of the profession’s rising stars a few years ago. Published: July 20, 2017, 4:55 p.m. Updated: July 20, 2017, 5:24 p.m.